Sometimes giving up control can give us everything. The astrology of April 11th will greatly affect our horoscopes and zodiac signs not only this week, but for the rest of the year. And that's because the Sun square Pluto and the Venus trine Saturn are two turning points where the seemingly short-reaching transits can actually reach much further, and in ways we can’t yet conceive of. The interesting aspect is how the numerology of the day set the tone for the theme and meaning. 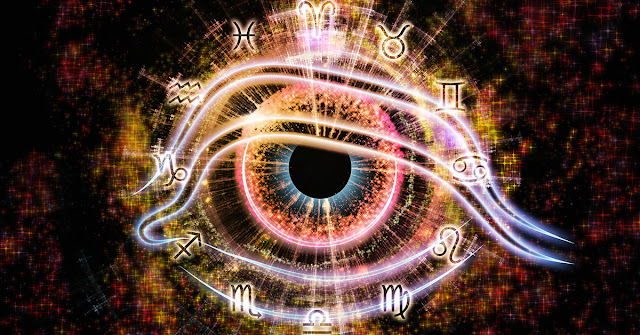 While astrology is the study of the cosmos, numerology is the study of numbers and how they play into our lives with meaning and synchronicity. In numerology, "11" is a master builder number, only one of two (the other being "22") that will never be reduced smaller than itself. Eleven is the number of soulmates, twin flames, destiny and divine purpose. Often times, those of us just beginning a spiritual journey or who are about to meet our twin flame will see this number present. Later on in our journey, it can also serve as confirmation that we are on the right path. It’s an important number, and when we experience a master builder day, we are essentially being asked by the universe to wake up and pay attention to what is happening around us. But the importance of numerology and this date goes a little bit further because when the date is added up (4+1+1+2+0+1+8), we come up with an "8" day. Each day, when added up, holds a numeric meaning that can signify the greater purpose of a particular date. An "8" day carries a romantic significance as well being the symbol of infinity; it also carries the properties of abundance, positive change, and also balance. Together, these two numbers are going to be setting the stage for a day that none of us will soon forget. The first transit we will be seeing is the Sun in Aries square Pluto in Capricorn. In astrology, a square represents some sort of difficult aspect or challenge, and with the Sun (which represents ourselves) opposite Pluto (the planet of transformation), this means that we are being asked to leave something behind in order to move ahead. The sun in Aries is inspiring, determined, and knows that in order to get where we want to go, we’re going to have to do some things we may not want to do. It’s not self-centered, but it isself-focused, which means that it’s time that we actually let ourselves think about what we want from life... and love. Which brings us to the icing on all of our cupcakes: Venus in Taurus trine Saturn in Capricorn. A trine is when planets are within 120 degrees with one another, bringing out the best of everyone involved so they can all work together. Venus, of course, is the planet that rules love and romance, so while in Taurus she is steadfast and connected to being more traditional in her affections. Saturn is in his home sign of Capricorn and will be on his best behavior. So while sometimes Saturn can feel like strict boundaries were put in place, under this transit it’s more about getting our due reward. Saturn is also known as the Lord of Karma, so this transit will really be about evening up the score and bringing some good our way that we are badly in need of. With Venus in the mix, it’s specifically about our romantic relationships and love lives. But we have the Sun and Pluto present too, which we have to deal with first before we make it to the good stuff that Venus is promising. In love and relationships, the biggest obstacle is ourselves. As adults we’ve all been hurt, we’ve all had relationships end, and we’ve all made mistakes so often our brains go to the default setting of "why bother with any of this if it will only end like before?" So we go out in the world, saying we want a healthy relationship, but when it comes knocking, we do everything we can to actually mess it up for ourselves. If we destroy a relationship or unconsciously self-sabotage a love interest, we also won’t be hurt. But in order to actually build the relationship that we want, we have to also start doing things differently. In this transit, the Sun and Pluto are asking us to give up control of a situation, how we do things, and ultimately, our hearts. To give up control can seem like a very scary process because we run the risk of getting hurt, but if we don’t, things might never change. We have to make the choice to let go, to believe that this time is different, and to let ourselves have hope in the possibility of love. Once we do that, Venus and Saturn are right to welcome us into what happens once we simply let ourselves believe that it’s possible. During this transit, this week is actually marked as the perfect time to propose, or to make a greater commitment by having a conversation with our love, and even moving in together! While the astrology is just one day, we will be seeing this energy all week and because of that, it’s likely we will see another round of engagements. Due to the influence of "11" and "8," not only will those relationships be destined, they will also last forever. However, if you're single, not all is lost. This transit is still largely about letting go of control in our lives, of what we thought love was, of who our ideal partner would be, and instead, letting the universe lead us toward what is truly meant for us. It takes a great deal of commitment to truly start doing things differently. Because the truth is, sometimes we do just have to give up control in order to get everything we’ve ever wanted.